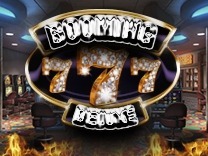 Get back to the basics and play a wonderful retro game by Booming Games - Booming Seven.Set as an actual slot machine from a brick and mortar casino, Booming Seven will have you hooked to playing the game. 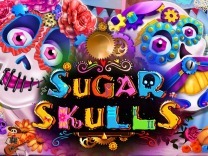 Unlike most classic slots, you will find it is laden with bonus features which will add excitement. 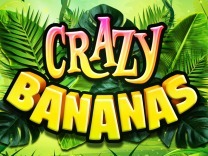 Booming Seven is a 3-reel, 3-row and 9 payline slot, with tons of free spins.So get ready for fruity delight and spin the reels of this slot for big wins. Booming Games has developed many exciting and fun games and Booming Seven is no exception. This slot is a retro slot with old school elements embedded into it. 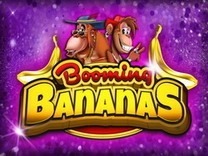 Booming Games delivers a back to basics approach to the slot which takes players back to the old days.Booming Seven features a classic fruity theme. the characters which complete this slot are all fruits. The visuals are excellent and offer a wonderful game time. There is also a soundtrack which keeps on playing in the background. You can either leave the soundtrack on or switch it off by clicking the controls at the top of the slot.The graphics are also superb, allowing players to play the slot without any hitches. 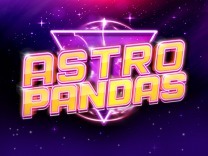 You do not need to download any software so as to enjoy this game as it can be accessed through a web browser.If you are looking for a low variance slot, then this is the slot to pick. 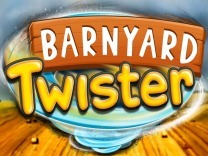 It will offer regular payments between spins. 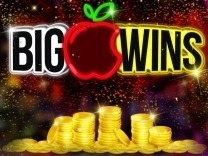 It is recommended for all players who love classic slots. Booming games has ensured that players are able to enjoy their games by ensuring that gamers have command over their games. Players can control their stake using the buttons located at the bottom of the slot. players can adjust the paylines and the bet per line to suit their bankroll.For those who do not like to manually spin the reels, there is an autoplay feature which will allow them to sit back and watch as the winning combinations land. You can return to manual spin by clicking the auto spin button at the bottom of the slot.Some of the symbols which complete this slot include fruits such as oranges, lemons, cherries, and pineapples. There are also bells, bars of gold and lucky triple seven. These are the standard and bonus symbols which you will interact with whenever you spin the reels. These symbols will award a high of up to 231 coins and a low amount of up to 9 coins. 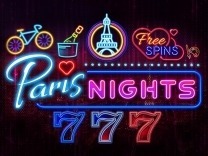 In Booming Seven, you will find 9 paylines which will give you multiple chances to make winning combinations with each spin. You have to match 3 symbols on an active payline to receive a payout.Watch out for the wild, represented by bars of gold, as they are the best symbols in Booming Seven. Matching 3 of these symbols will award up to 231 coins. Booming Seven does not have tons of bonus features included in the slot. However, you will find that there is a scatter symbol, gamble feature and a wild. These symbols are incorporated to ensure that you are able to make winning combinations with ease and also get to enjoy playing the game.The wild is represented by bars of gold. It will substitute all other symbols in the slot except the scatter symbol.The scatter symbol, on the other hand, is represented by triple seven. 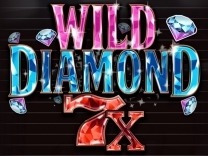 This symbol will trigger the free spins whenever you land 3 or more of these symbols.Apart from the wild and scatter symbols, there is also a gamble feature which allows players to double their wins. It is tied to base game winnings and requires manual activation. In the gamble feature, you will be required to play another slot where you will choose whether it is the cherry or the orange which will land on the payline. Correct guesses mean doubling your wins while incorrect guesses mean forfeiting your wins.